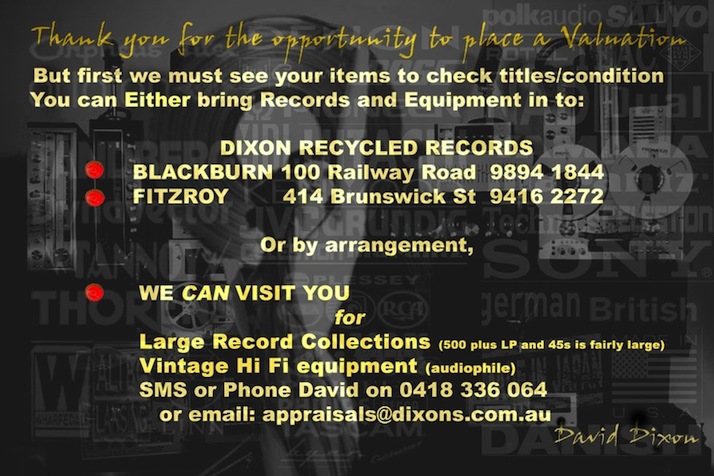 We buy and sell used Vinyl Records, CDs and DVDs. Whether you have a large collection that’s gathering dust or a couple of items you no longer need, it's easy to sell to Dixons. We have a vast selection of LPs, CDs, Blu-rays, DVDs, Videos, Cassettes and other collectables. Visit us at one of our stores today – you’re likely to find something you want, cheaper than anywhere else. We often come across rare, deleted or hard to find titles. The majority of these are for sale in our shops, with some specific titles for sale online in our eBay store.